Home / Editor's Choice, Entertainment News, Forum and discussion, Gossip and Drama, Other Political News / You better fix your teeth, Githeri ya Kamiti utakula-KIPCHUMBA MURKOMEN told. You better fix your teeth, Githeri ya Kamiti utakula-KIPCHUMBA MURKOMEN told. 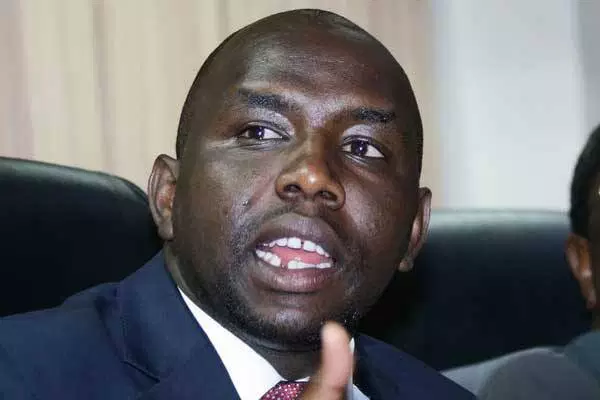 Thursday, April 4, 2019-Elgeyo Marakwet Senator, Kipchumba Murkomen, has faced the wrath of one of the social media users after he claimed that DCI is discriminating other people in the war against corruption. 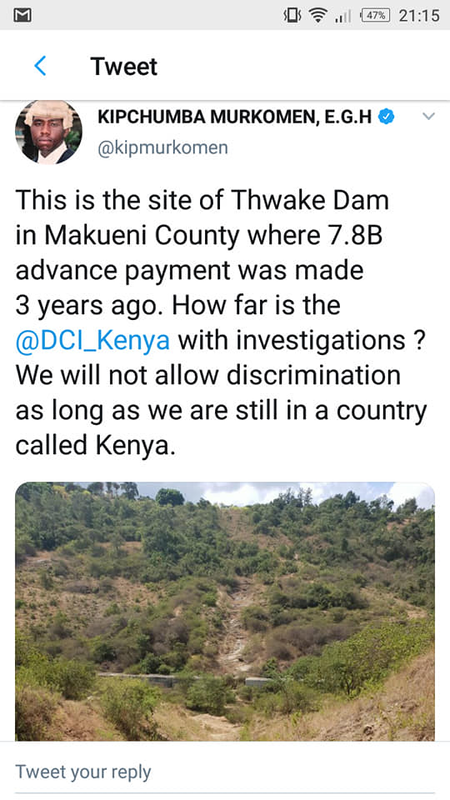 Murkomen posted a photo of a stalled dam in Makueni County where 7.8 Billion was allocated and squandered and wondered why the DCI is not probing who squandered those billions yet he is busy investigating Arror and Kimwarer dams. According to Murkomen, DCI is being selective in the war against corruption. But this twitter user mercilessly attacked Murkomen through a hard tackle. He claims Murkomen is a thief and that's why he is scared of DCI's purge on corruption. 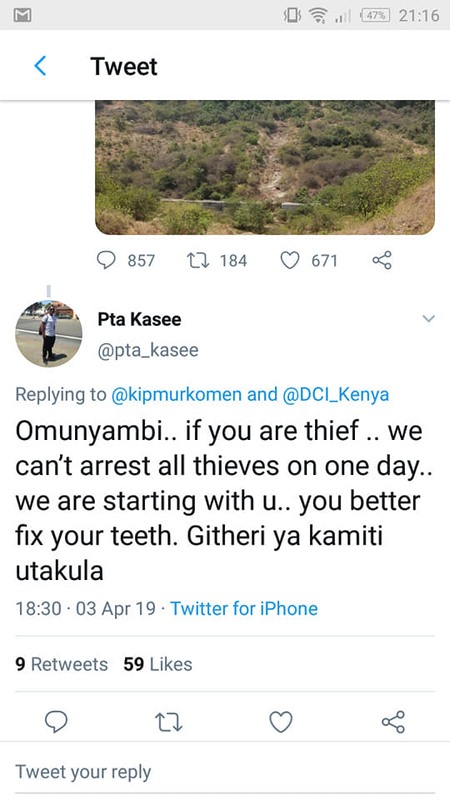 He told Murkomen to fix his teeth because he is soon going to Kamiti to eat githeri. See how he responded to the tweet.